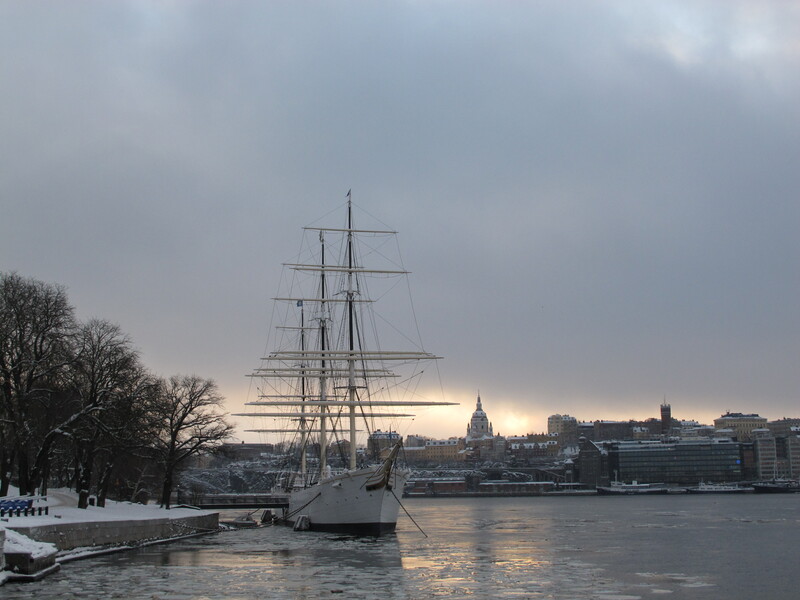 A winter view of Stockholm and the waters below Södermalm. A quick snap of the skyline in a beautiful light from the sun setting early. In two weeks time the days will start to get longer again. In early January we notice the longer days and start to look forward to beautiful winter days and eventually spring.